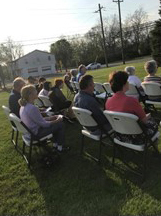 Praise Reports from the National Day of Prayer Gatherings! Our 2nd. 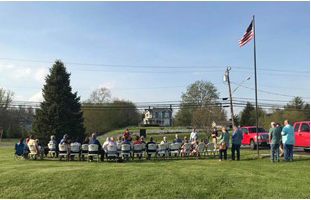 annual "NATIONAL DAY OF PRAYER" service at Somerville Community Church was well attended with several churches participating. We believe that the deliberate gathering of God’s people to pray will have an effectual outcome. 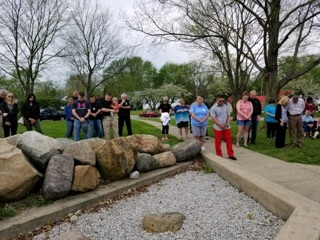 All those who attended the "NATIONAL DAY OF PRAYER" service believe II Chronicles 7:14, "If my people, who are called by my name, will humble themselves and pray and seek my face, and turn from their wicked ways, then I will hear from heaven and will forgive their sin and will heal their land." 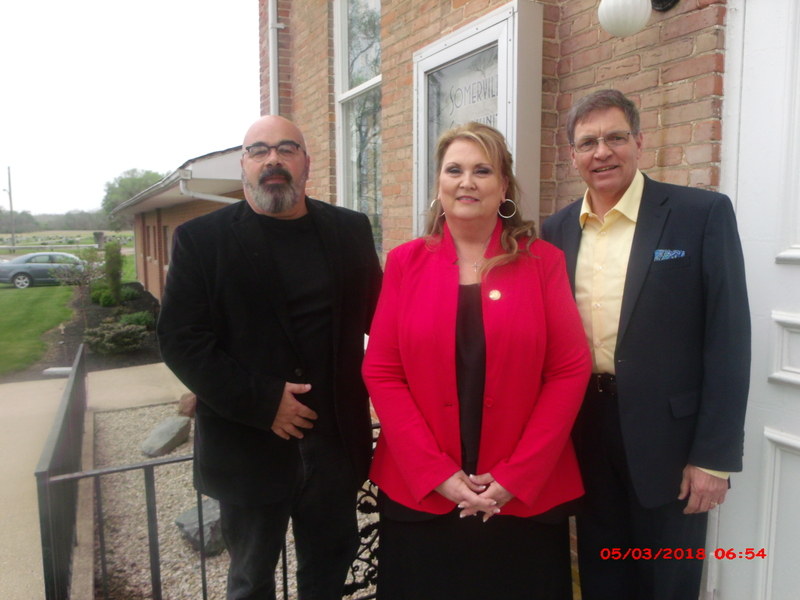 Pastor Mark Crary was very encouraged by the "NATIONAL DAY OF PRAYER" service. AMAZING GRACE HOW SWEET THE SOUND! We had a great turnout. Four different pastors prayed for the nation and our community, our First Responders, government unity and the Mayor, our schools, our students and teachers, manual laborers and administrators, the community churches and pastors. The Ethiopian pastor who prayed for First Responders told the story of how Whitehall has the fastest response time and while in Ethiopia it could take as long as 48 hours for a response. He was very grateful. The two police chaplains headed up the event including our own Darryl Hammock from City of Refuge Baptist Church. 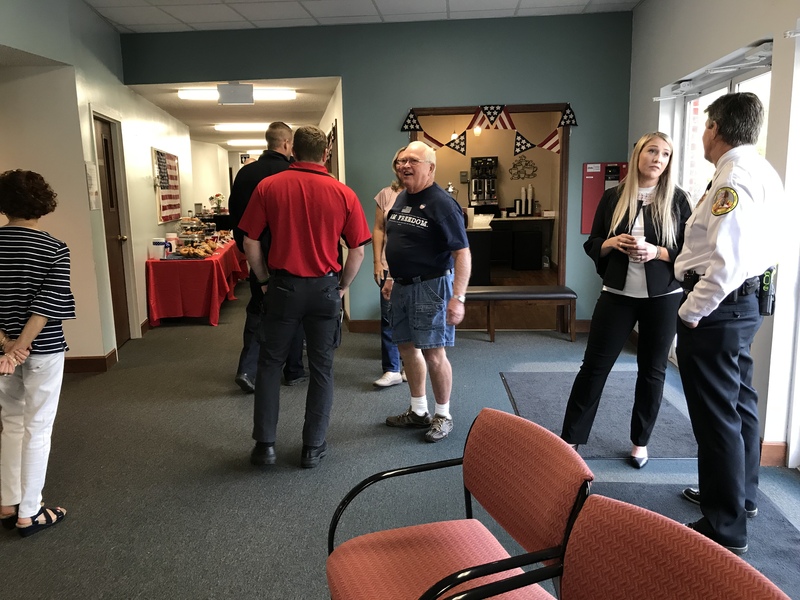 Clough Pike BC, Cincinnati, invited first responders to the church between 7:30-10:00 am. 38 firefighters, police, and EMTs showed up and stayed for well over an hour. They interacted with trained church members who engaged them in conversation and offered to pray for them. The church invited several other churches to come and just pray for Unity, the National Day of Prayer 2018 theme. 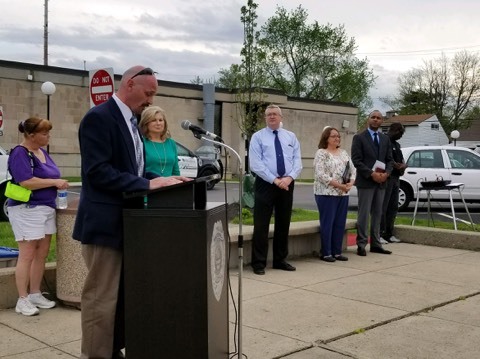 Dr. Josh Carter is the pastor and Mary Leigh Snowden was the National Day of Prayer Coordinator and also leads the church’s Prayer Committee, which conducted the event. Everyone at Clough received a NDoP bracelet five weeks in advance to encourage prayer. Everyone that attended received a prayer guide, bookmark, and devotional book by Max Lucado. 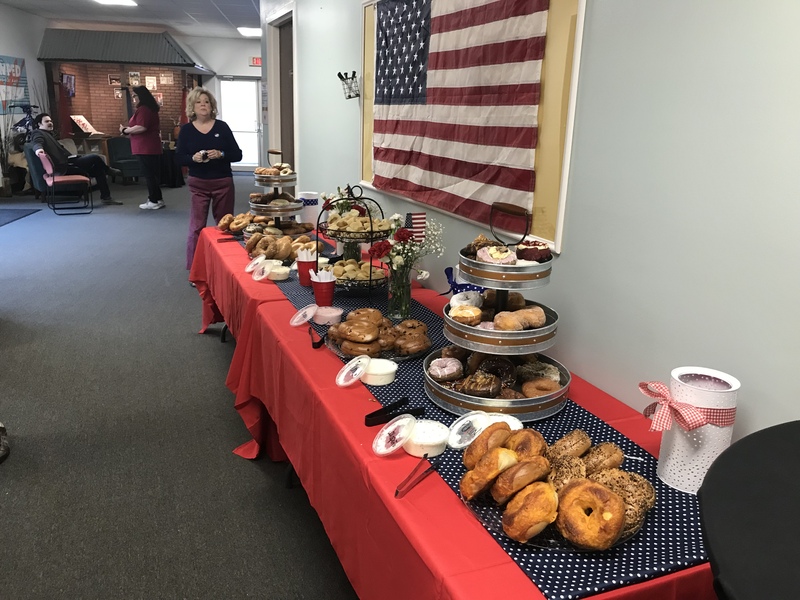 And everyone enjoyed the chicken biscuits, bagels, and donuts. Inside each book was also a card with an invitation to attend the church and join in on a picnic at a local park the following Sunday. Several people from the community just came to spend a few minutes praying in the sanctuary.